Nicole and Kenny’s wedding at The Red Horse Barn in Huntington Beach is full of summery joy! Summer romance is the air and we are loving everything sunny and bright in this season’s weddings! 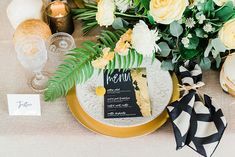 Nicole and Kenny picked a fun, fresh color palette and topped it off with bounties of sunflowers used throughout the decor. They also wanted their wedding to have an intimate atmosphere that focused on their family and friends. The Red Horse Barn was a perfect venue for this atmosphere because of its homey feel. 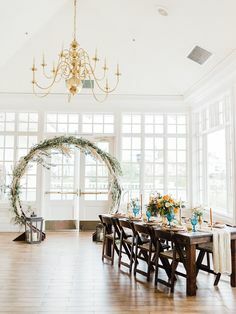 All of the various rooms, porches, and gardens worked wonderfully for their photos as well! 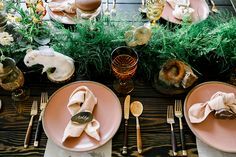 Aside from the venue, the couple also filled their wedding with special, homemade detailing and the bride’s mother crafted all of the floral arrangements for the wedding day. 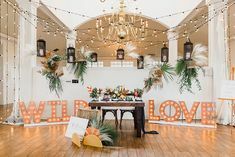 All of the details and fun moments from this wedding were captured by the SoCal based photographer Kylie Chevalier, and our personal favorites are here for you to enjoy!